We’ve seen Pejac paint large indoor murals, small street pieces, window drawings, install sculptural works in public, create visual illusions on facades and walls, but we never seen him turn his paintings into reality. Until now. 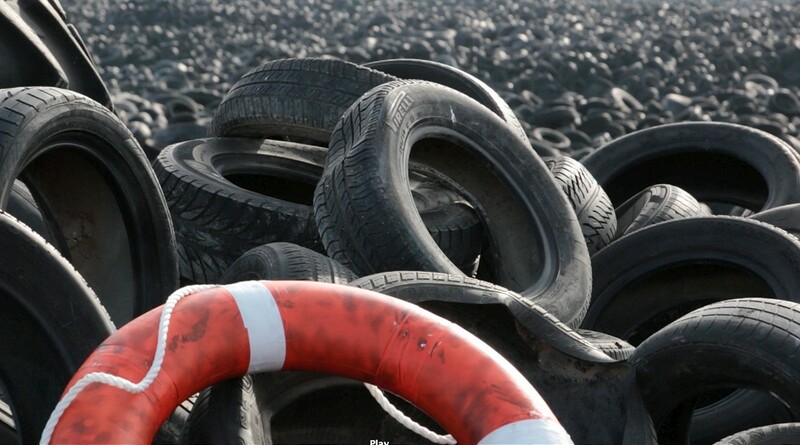 The Spanish artist just shared his latest project, Heavy Sea, titled after his watercolor painting from a few years ago depicting a lifesaving ring on top a tire dump. Recently, he came across a location that looked pretty much exactly like the one he drew, so he decided to re-create the image in reality. 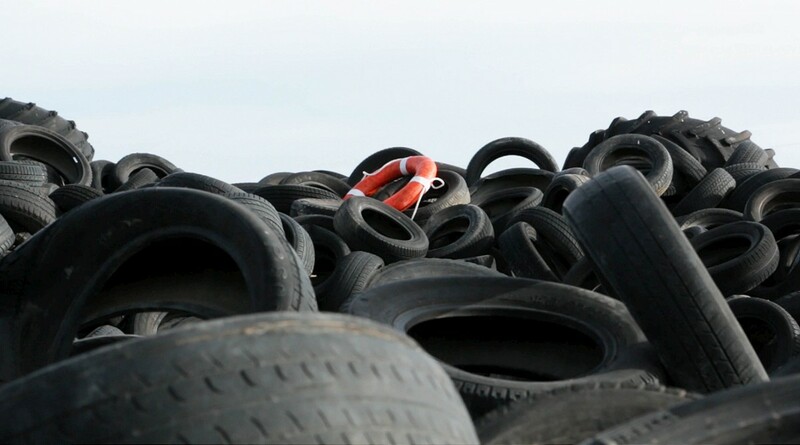 The result is this unsettling footage of the artist climbing the black rubber mountain while carrying the orange throw ring, and finally – the ring itself floating in the sea of disused tires. Always focused on the environmental issues, this project pushes Pejac’s work a few steps further, turning his dark vision into a real life nightmare. 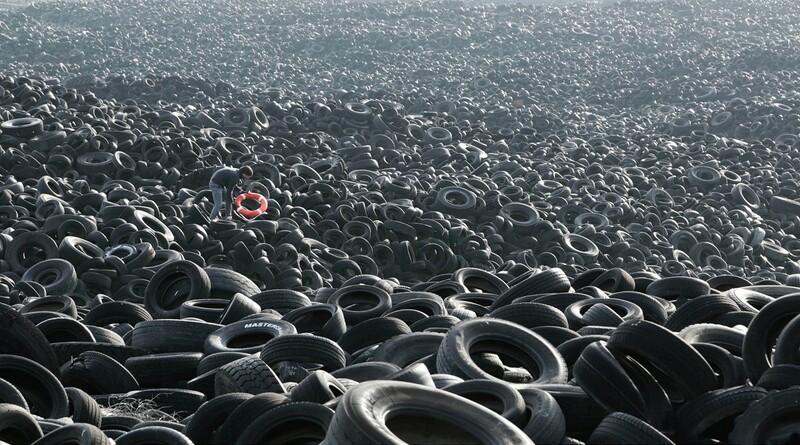 Finding himself in the middle of his fictional setting was both overwhelming and disturbing for the artist, and the whole process made it more obvious how disconnected mankind is from the Earth. Categories: Installation, Street & Urban Art, Videos. Tags: Installation, Pejac, Street & Urban Art, Videos.